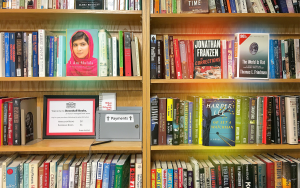 The Friends of the Lawrence Public Library have a storefront! DownHall Books (aptly named for being “down the hall”) is a permanent browsing outpost for book sales. The idea behind it is two-fold: how to address increasing storage challenges while answering requests for more book sales. In 2016, your donations helped the Friends of LPL raise a whopping $100,000 for library programs, speakers, collections, reading prizes, and more. That’s a whole lot of books, folks! We found some prime wall space directly outside the elevator, installed shelving, and magically, the Friends’ overflow solution led to a fantastic benefit for you. Happy Browsing! 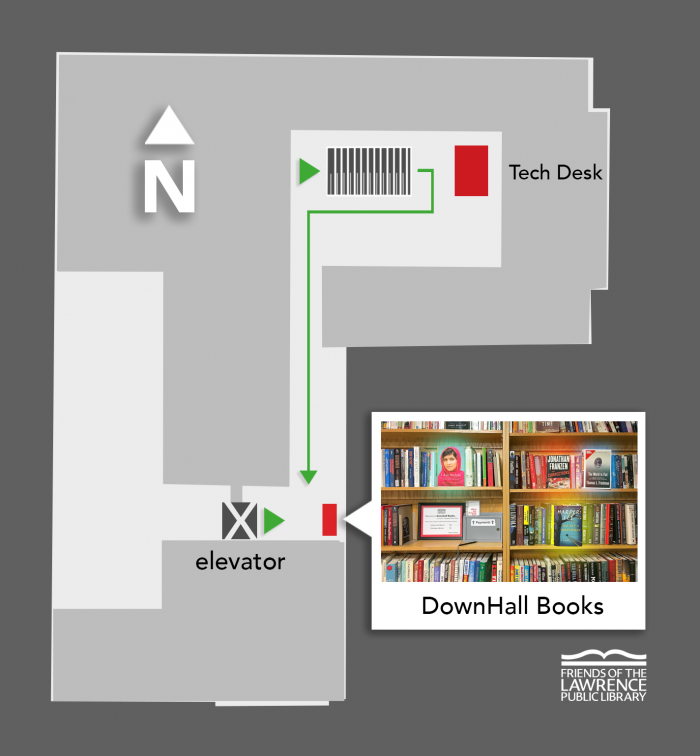 BY ELEVATOR: When the doors open, boom—books! Questions? Call or email our Friends Coordinator, Angela: 785-843-3833 x 149 or athompson@lplks.org.